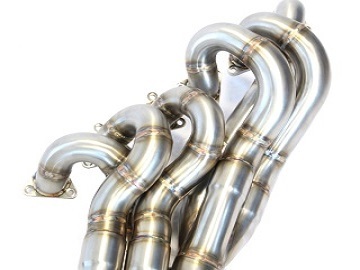 These Epic Motorsports performance headers are designed to bolt up in place of the restrictive stock headers. A stepped primary retains torque and gives more area under the curve while providing the ultimate horsepower levels required for full race use. The larger diameter secondary pipes will require an aftermarket Section 1 or exhaust replacement, or custom fabrication. Unlike typical overseas parts, Epic headers look just as good on the inside that is doing all the work as they do on the outside. All bends are consistent and properly lapped for maximum performance from every set. Additionally, these are a true equal-length design, executed to perfection for proper exhaust gas scavenging – not just “pretty close to equal” like the rest. 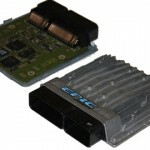 No other S54 header on the market compares! Attention to detail and an uncompromising design execution produces fantastic results from this set of headers – up to 40 more ft-lb and 10 more Hp – over the next closest competitor. 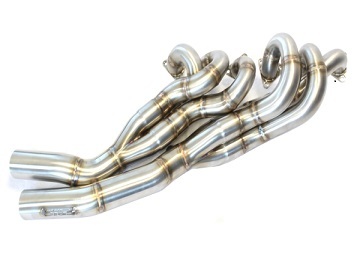 The Epic Motorsports headers (Made in USA) fit all E46 M3 and S54 MZ3/MZ4. Quality 304L stainless material. 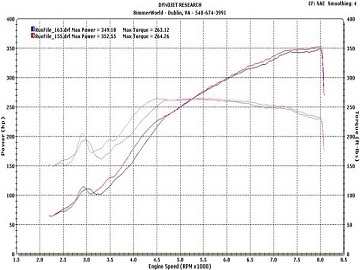 Dyno chart note – the Epic Motorsports E46 M3 Header is compared with a leading aftermarket competitor.